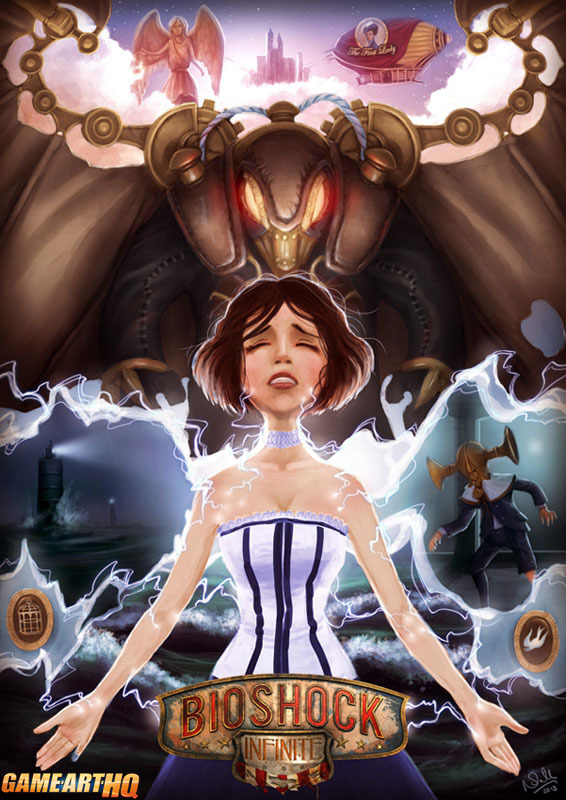 …is the alias of Elizabeth in Bioshock Infinite and also the name which was given to this artwork by Natasha Saville from the UK. This is part of a Bioshock related fan art series by Natasha and you can see some of the important places and characters of the game in this composition which got the well deserved daily deviation treatment lately on dA. Now it is featured here on Game-Art-HQ as well and part of the upcoming article about Elizabeth and her development. Visit Natasha’s Gallery on dA as well where you can see her other Bioshock related fan arts among many others!